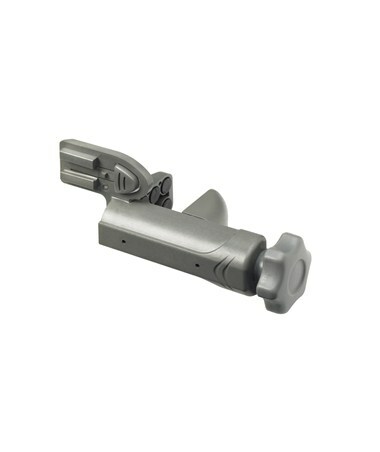 The Spectra HR150U with C61 rod clamp is a general purpose universal laser receiver that effectively detects red, infrared or green beam rotary laser levels. This laser detector with highly visible dual LEDs and a built-in magnetic mount is an excellent device for construction professionals involved in extensive interior construction and remodeling work. The HR150U has a three-channel dual-sided LCD display that can be easily seen indoors or outdoors over long distances for increased accuracy and ease of use. 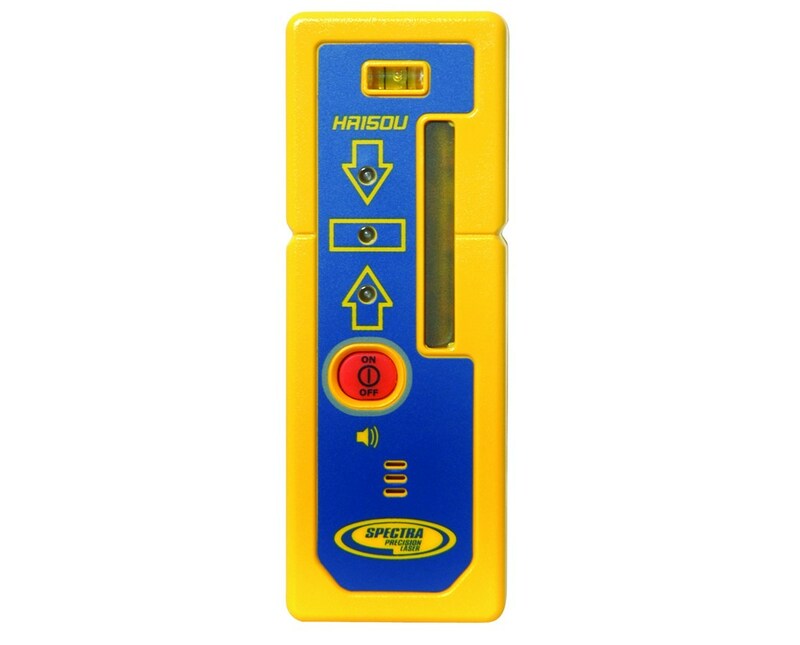 The bright red and green LEDs show true set level and effectively indicate laser height. 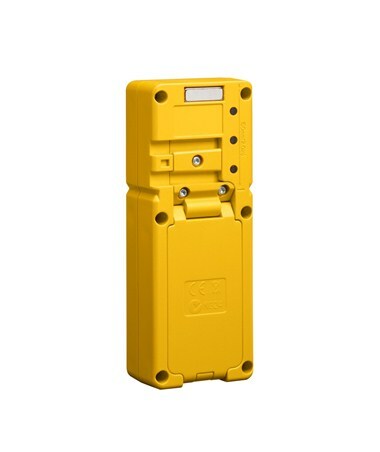 The included C61 bracket enables you to mount this Spectra laser detector to all common surveying grade rods. In addition, the HR150U features a built-in magnet that enables you to attach it to a ceiling grid or drywall track without the need for additional accessories. As the perfect entry-level laser receiver for smaller job sites, this device has marking notches on both sides making it easy to mark alignments and elevations. It also features an audio signal that can be set up to 100-decibels for noisy environments. Featuring a tough composite material housing and IP-55 rating, the HR150U is dust and water resistant and can withstand a drop of up to five feet high to a hard surface. 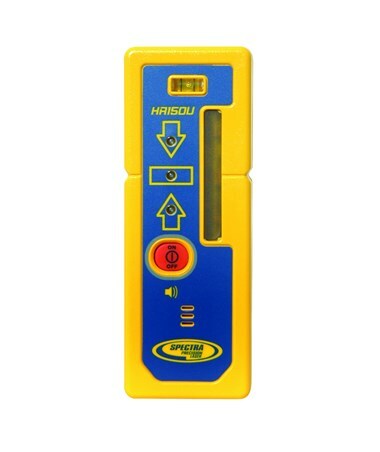 This laser detector also works up to 70 hours using two alkaline batteries and automatically shuts off after 30 minutes to save on power. 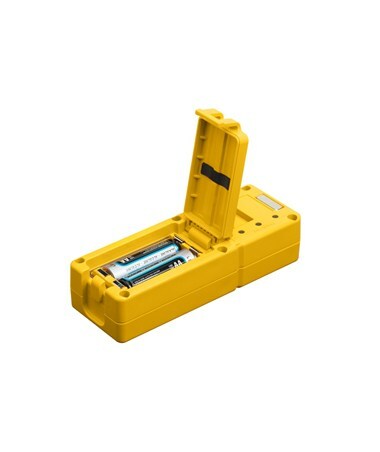 This Spectra laser receiver package comes with a C61 rod clamp, two AA alkaline batteries, and 3-year manufacturer's warranty.